A male passenger who died after vomiting on a trans-Atlantic flight from Nigeria to New York sparked panic he could be carrying the Ebola virus. However, initial tests on the 63 year-old man show that he is not carrying the virus. The man had boarded a flight at Lagos airport in Nigeria, which was bound for New York’s John F. Kennedy airport. However, once airborne, the man complained of vomiting during the flight and was sick in his seat. 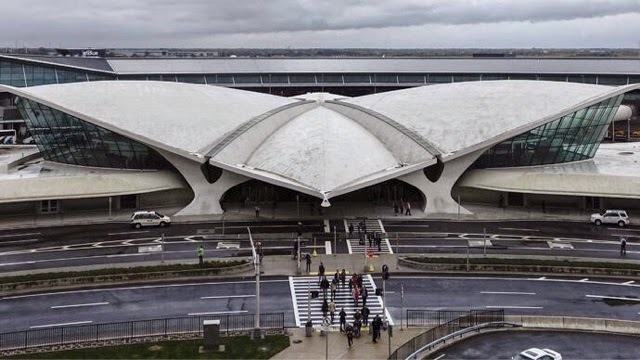 The 63 year-old died sometime before the plane landed at JFK, leaving around 150 passengers worried as to why he had passed away.Upon the plane arriving at the terminal at around 6am local time, the door was left open connecting the plane to the airport building, “which a lot of the first responders found alarming,” the source added, which was reported by the New York Post. Medical officials at the scene conducted a cursory exam and alleviated fears that the Ebola virus was present, according to a local police source.